CLASSES ARE THE HEART OF THE GUILD! For more details on how to become a member or to register for classes please click here. Our Afternoon Programs are open to all. We start at 1 pm sharp and run to about 2 pm. Please join us. After compiling a list of your topic requests and having a few that didn`t need an hour, we have again put together a group of our members to meet 6 of these requests. You will choose 2 demos that suit your interests to attend; each will last 30 minutes. Become a chocolatier and sew some miniature chocolates. Just for fun. Join us for part 2 of needle felting with Hazel Alexander. Last year was very popular so this time we will attempt a 3-D bird. Don’t worry if you did not attend last year; lots of help will be available. 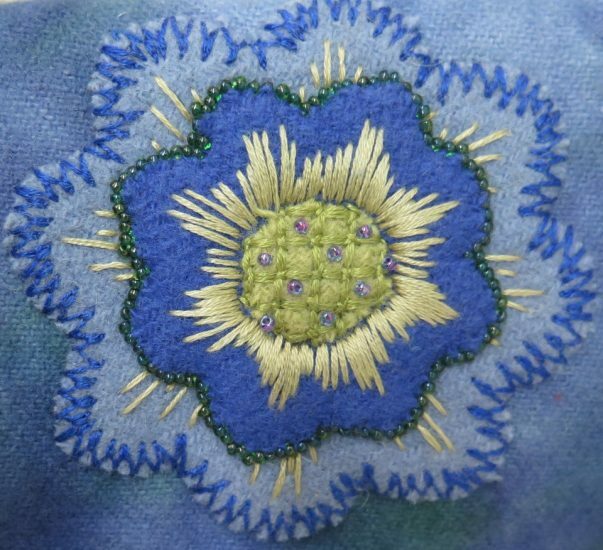 Judy Eckhardt, a very skilled needleworker and teacher at our guild, will demonstrate 2 stitches which are probably new to many of us and are easy and versatile to use in our own projects. Our own well-travelled Mavis will be speaking and showing slides of 2 trips and also of the workshops she enjoyed while in Italy and Australia and the projects she completed. The next best thing to going along with her! Apr 2 Trunk show with Sharon Fisher! Open House is a beautiful Fibre Art show with about 50 artists each showing a few works. For 2019, the show will be on Tuesday, April 23rd from 1-5 pm. 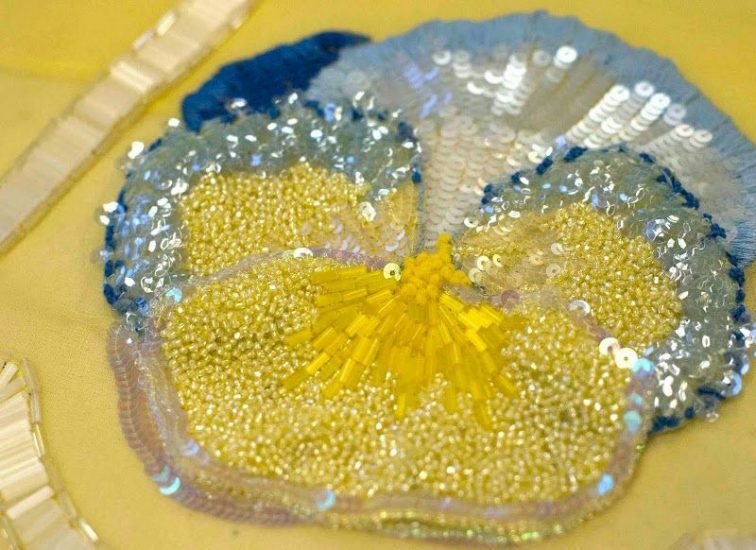 As well as the work of the Guild members, you will see demonstrations of different styles of embroidery, throughout the afternoon. Relax in the Tea Room with friends or fellow enthusiasts. Handmade greeting cards will also be for sale. Frame them for yourself or give them to someone special!